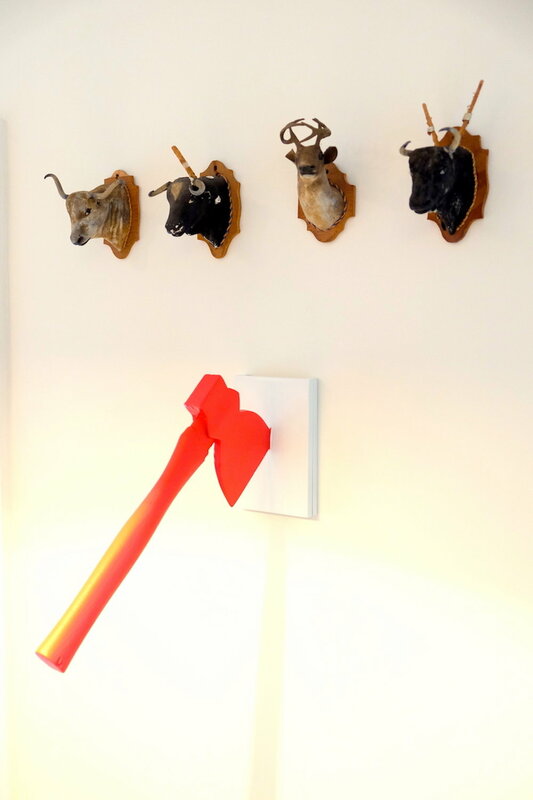 Acquired objects made of wood, metal and paint meant to be wall mounted. $9500. One of 9 pieces from Red Rage installation. One of 9 pieces from installation.